Essential Oils? Are They Too Good To Be True? I started using essential oils about a year ago. It wasn’t easy to convince me that they worked for quite awhile. I was hesitant and thought that it was just a bunch of ‘foo foo dust’. It wasn’t until my sister started using them that I really believed in their capabilities. You see my sister suffers from horrible allergies. She couldn’t be around animals or grass without feeling horrible. Sis was on allergy medicine daily and sometimes that didn’t even touch her symptoms. Then she found the oils. She used them for a couple months and then something amazing happened. She tested how well the oils were working–she didn’t take her allergy medicine for a week. Well, believe it or not, she didn’t have any problems. She kept using the oils and she didn’t have any symptoms. She no longer uses over-the-counter allergy medicine. Now this probably doesn’t mean anything to you because you have no idea how miserable my sister was, but I did and that made me curious. I wanted to try these bad boys now. So I did. One thing you don’t know about me is that I have anxiety with a touch of depression. A lot of the oils say that they can help with anxiousness, stress, lifting your spirit, and other things that sounded wonderful for me. So I got myself a diffuser and started using them. 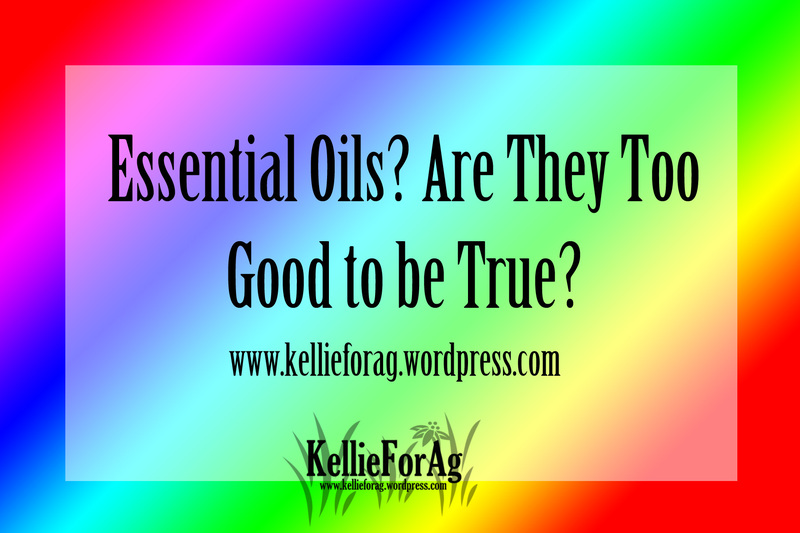 I really can’t even explain to you how they work, why they work, or why different oils do different things, but they do. My depression seems to subside. I can walk into my house, smell those oils, and they lift up my spirit. I feel energized and ready to do something. My anxiety doesn’t seem to bother me as much. I use them to make my house smell fresh and clean (lemon and peppermint). There are so many amazing things you can do with them. I even have a USB diffuser that keeps me full of spirit and stress free at work. No oil company asked me to do a review. I just simply wanted to share my love for them in case any of my readers were curious if they worked or not. I’m not someone to do something like this unless I really believe in a product. And I truly believe they help with my headaches, aches and pains, depression, anxiety, and stress. My next test will be their oils for healthiness. I’ll let you know how it goes! Wanna try them? E-mail me at kellieforag@gmail.com and I will send you some of my favorites! Wanna buy some for yourself? Click here, click on “I was referred by a Young Living….”. You will be asked to enter two numbers, for BOTH spaces, use the number, 2853812. Let me know if you need any help!